Out of town and missed Mass at Sacred Heart? Father preached about THAT? Homilies are now available online and are updated every Sunday evening. We are an affiliate parish of the St. John Paul II Regional Faith Formation Program for children in grades K-8. Classes held Sundays 10:20-11:40am. Our RCIA videos covering the Catechism of the Catholic Church, the Sacraments, etc., are available to view online! Tired of writing checks each week? 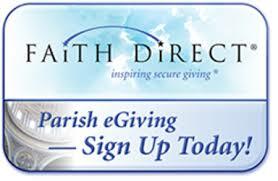 Please prayerfully consider enrolling in Faith Direct! Never write a check again. Set it and forget it and your contributions will automatically come out of your checking account! By clicking to shop via the Amazon graphic below, Sacred Heart will receive a percentage of your total shopping purchase. It costs you nothing and you enjoy the same great Amazon prices. Thank you for your support!! 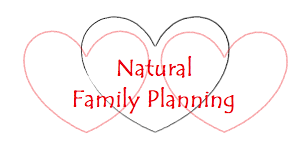 Father Larry has purchased access to the Formed program for the entire Parish. Please click below and follow the directions to register. Now, go and be Formed! 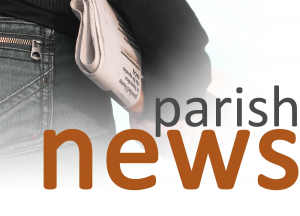 Want to receive the latest parish news in your inbox or on your smartphone? 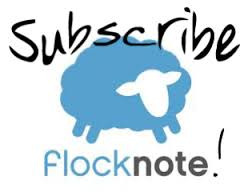 Sign up for Flocknote today!